On October 4, 2017, Landmark Networks, LLC (“Landmark”) sued Nintendo Co. and Nintendo of America (“Nintendo”) for alleged infringement of two networking patents: U.S. 6,856,966 and U.S. 6,018,720. 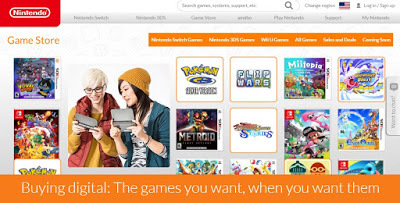 Landmark asserts that certain features of Nintendo’s eShop infringe its patents. The patents asserted by Landmark originated from the Japanese company Universal Entertainment Corporation. Landmark asserts that the patents relate to recording customer data to a “purchaser record medium,” on which both game software and “a predetermined amount of money” are written. The thrust of Landmark’s argument appears to be that, because the eShop entails both associating available funds and one or more games with an account, Nintendo infringes Landmark’s patents. This case is remarkably similar to that filed by Landmark against Valve Corporation (“Valve”), Sony Corporation of America, Sony Interactive Entertainment America, and Sony Interactive Entertainment (collectively, “Sony”) in December of 2016. The case, originally filed in the Eastern District of Texas as 2:17-CV-00855 but transferred to the Western District of Washington as 2:17-CV-00855, asserted the exact same patents against Valve’s Steam and Sony’s PlayStation Store. That case was settled by the parties in July 2017. One issue Landmark may need to overcome in this case is whether these claims are directed to an abstract idea. Although Courts have begun to slightly relax the application of 35 USC § 101 in patent proceedings, § 101 remains an important threshold issue under Alice v. CLS Bank. Also note that the ‘720 patent claims priority to November 7, 1997, and appears on its face to expire a month from now. Nonetheless, patent law allows a patent owner to collect damages up to six years preceding a lawsuit.